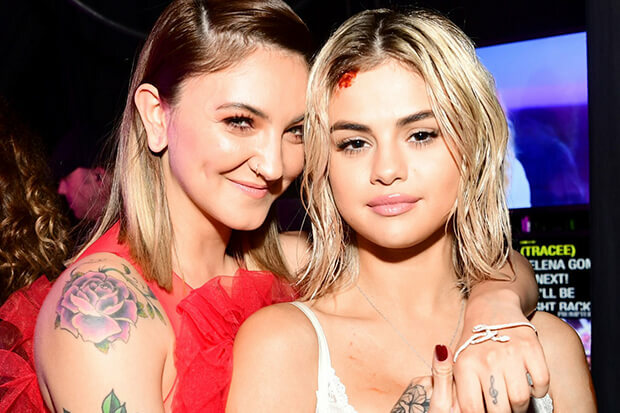 Julia Michaels excellent new EP featuring Selena Gomez and Niall Horan. Julia Michaels dropped Inner Monologue Part 1 this morning (January 24) and “Anxiety” is one of the many highlights on the EP. A stripped-back collaboration with Selena Gomez, the immensely relatable anthem shines a light on mental health. “I try my best just to be social, I make all these plans with friends and hope they call and cancel,” the singer/songwriter admits in the opening verse. “Then I overthink about the things I’m missing, now I’m wishing I was with ’em.” Been there, done that. Selena pops up half way during the song and gets very real about her personal battle with anxiety, before joining Julia for the chorus. But all my friends, they don’t know what it’s like,” the frequent collaborators sing. “They don’t understand why I can’t sleep through the night.” One of the worst side-effects of mental illness is isolation — a complication the duet hopes to alleviate by reminding people that they are not going through this alone. The “Back To You” hitmaker elaborates on the issue in a deeply personal Instagram post. “My sweet soul sister,” Selena begins the comment. “Julia, you have been a huge part of my life. You have taught me how to have courage when I have self doubt. This song is extremely close to my heart as I’ve experienced anxiety and know a lot of my friends do too. You’re never alone if you feel this way. The message is much needed and I really hope you guys like it!” Listen to the track, which has to be a single, below.